Starting today, you can now get a Sony Playstation VR for $50 less! Sony Playstation VR is currently the most popular desktop VR system, with over a million users as of June 2017, which is estimated to be more than the combined sales of the Oculus Rift and HTC Vive. 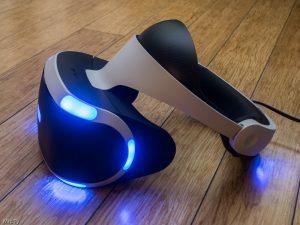 Here’s my review of the PSVR. 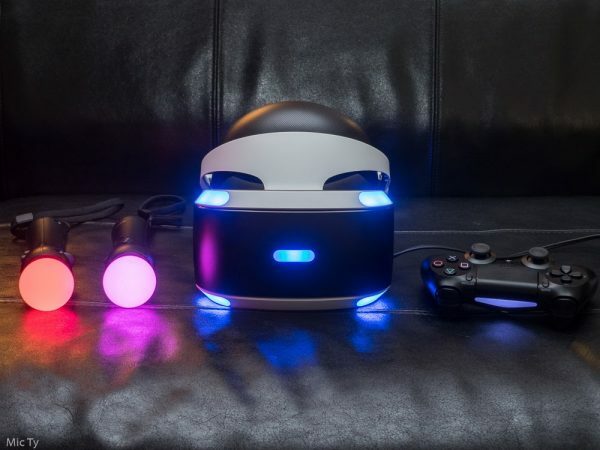 Now you can get the PSVR for less! The Launch Bundle, which includes the PSVR, controllers, the PS4 camera, and the Playstation Worlds game, is now $449, $50 less than its $499 original price. If you already have a PS4 camera and PS Move controllers, you can get the standalone VR headset for $349, $50 less than the $399 original price. I don’t know yet if this is a permanent price drop or a temporary sale. Compared to other desktop VR systems, the PSVR has a relatively small library of games. However, it is a pretty good system for viewing 360 photos and videos. The headset is comfortable and balanced, and can accommodate glasses. I also like that it has almost no screendoor effect. In addition, PSVR has a native YouTube app to view 360 videos on YouTube, and can view 360 photos and videos from a thumbdrive. It can also view non-360 photos and videos and present them in a virtual theater environment, like having your own private movie house. 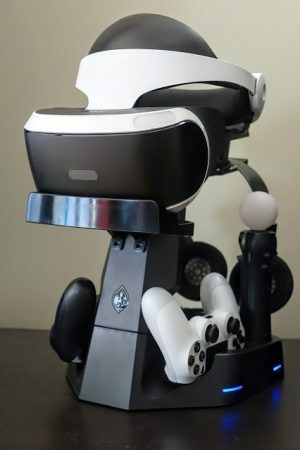 If you’re getting the PSVR, I highly recommend Collective Minds’ charging stand for displaying the PSVR headset and also charging the PS Move and a pair of sixaxis controllers). Thank you very much to Adam Lindquist (Vaunt Media Group) for bringing this to my attention!